20-Apr-16 Singapore’s medical devices industry is aiming to hit SGD5 bn in manufacturing output. The government is targeting up to 1 mn foreign patients a year, which will contribute SGD2.6 bn (USD1.6 bn), or about 1%, to Singapore’s GDP. 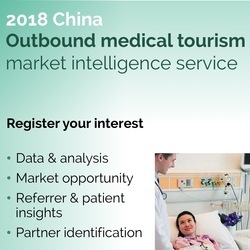 Already there are 30 global medical technology companies, including the industry’s leading manufacturers, with operations and R&D in Singapore. [image: Asian Briefing].